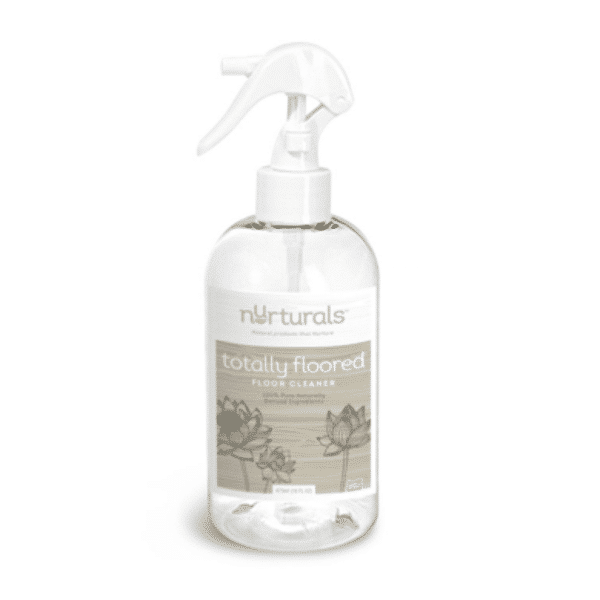 Totally Floored Floor Cleaner has 100% naturally derived ingredients, with no VOCs, no chlorine bleach, no synthetic fragrances or dyes and is phosphate and gluten free. It’s safe and naturally wipes out bacteria, germs, grease, grime and tough stains! USES: All types of flooring surfaces like wood, tile vinyl and laminate, baseboards, sealed wood and more. DIRECTIONS: Spray & Wipe! Watch the grease, grime and soap scum vanish.